Saturday night was an historic one as the Texas Tech Red Raiders advanced to the National Title game. 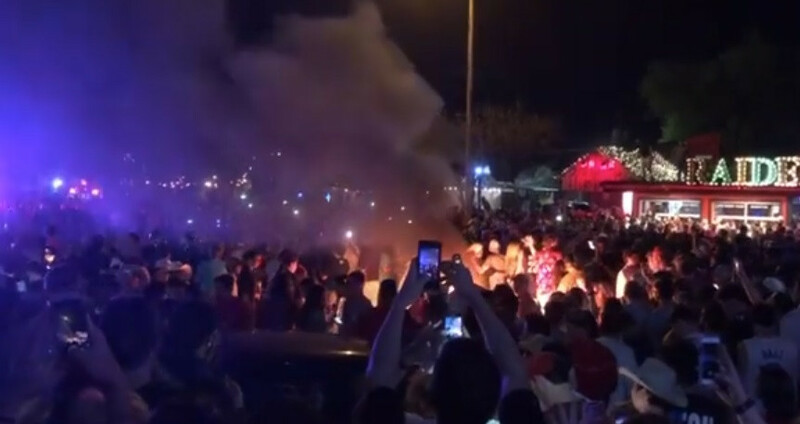 The good times wouldn’t last any further than that after thousands of Red Raiders fans took to the streets of Lubbock and caused an insane amount of damage around the city. After multiple acts of vandalism, local police eventually used tear gas to break up the crowd, according to reports. “A huge crowd clogged the streets around Texas Tech campus, shutting down traffic on Broadway, 19th, University and Marsha Sharp Freeway, with the most activity concentrated at Broadway and University. riot squad & SWAT on broadway, the burning of the limes, flipping cars, tear gas, and K-9 units.